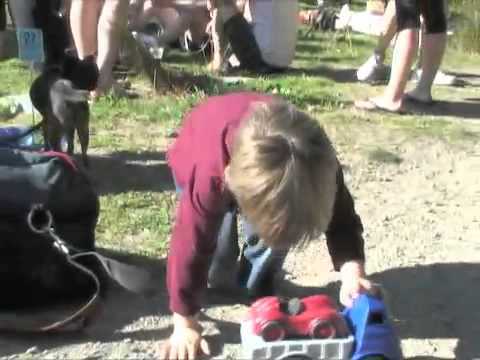 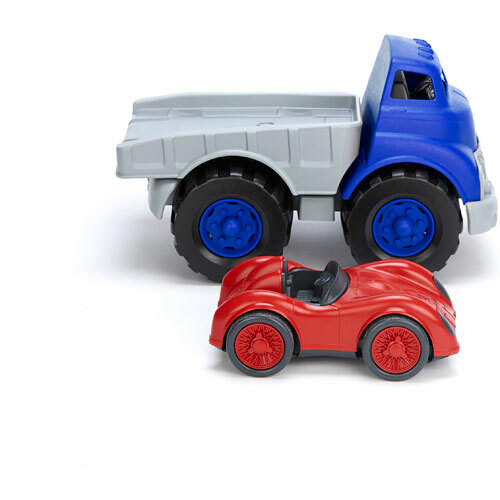 Gentlemen (and ladies) start your environmentally responsible engines! 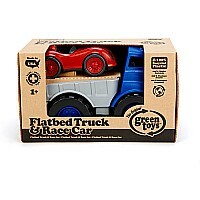 The Green Toys Flatbed Truck with Race Car is on the move. 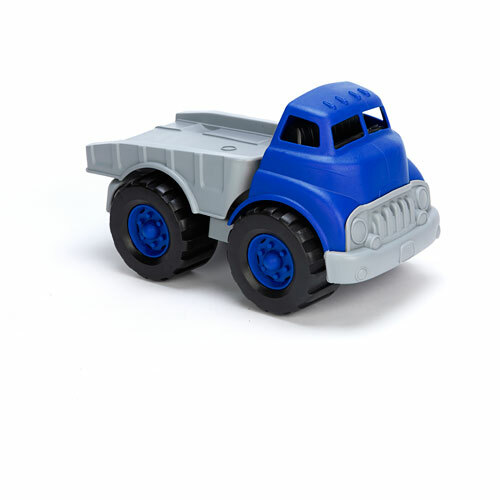 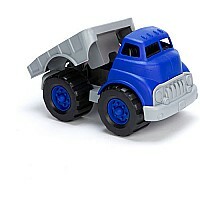 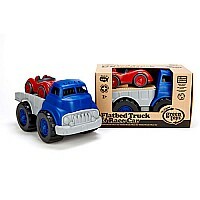 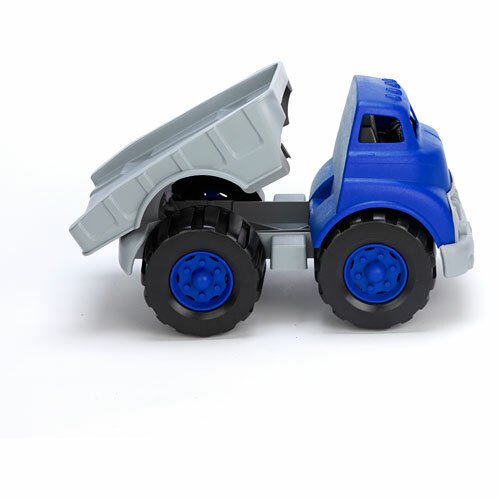 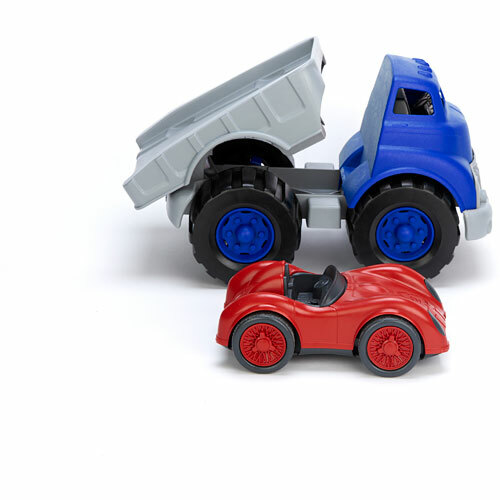 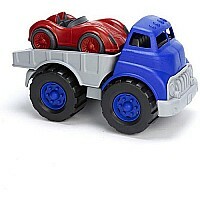 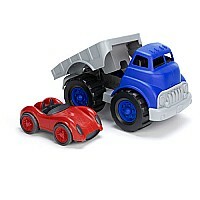 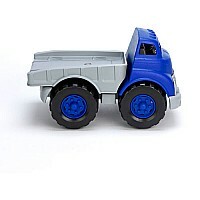 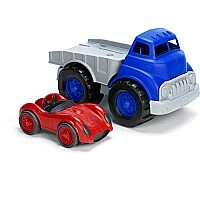 This sturdy blue truck hauls our sleek red hot rod on its back, and has a flatbed that tilts up to allow the car to roll off. These eco-conscious vehicles are made in the USA from 100 recycled plastic milk containers that save energy and reduce greenhouse gas emissions. 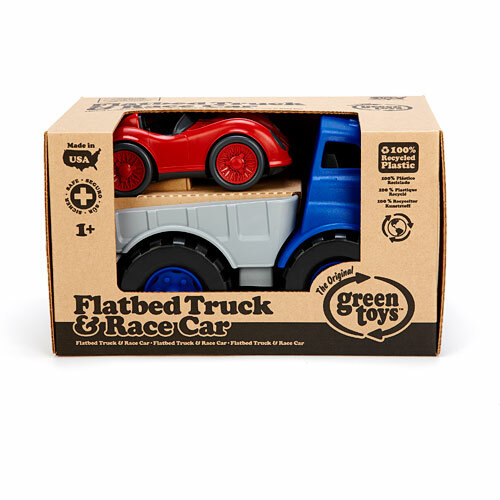 No BPA, PVC, phthalates, or external coatings.